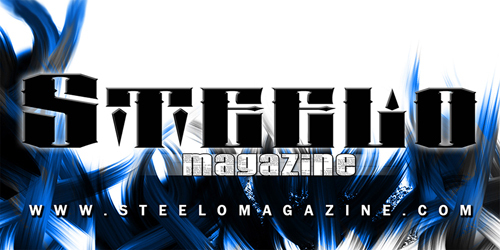 Steelo Magazine was founded in 2010. It was just me (Fredy Garcia ) and my boy Fernando Pinto from the Solelution blog. He had a camera and I had money from the last check I had received from my job. We were kinda talking one day and I told him, "you know what? We should start our own magazine!" And he agreed! I cashed my check went to the Norwalk business center and registered the name. It was such a sudden decision! We didn't know what we were getting ourselves into lol. All we knew was that he had a camera and I could write. We then started recruiting a team that would cover a different demographic in the magazine We had fashion, cars, models, and shoes! When I told some of my homeboys about what I was doing, they started introducing me to heads that helped paved the way to where we are now. Not being able to work due to a back injury I had all the time to network. The moment things really shifted was when I met DJ Quad. We started off by us covering his event at the DragonFly in Hollywood, California. Soon after that we were keeping close communication. For a while he saw that I was struggling with my initial team members and he gave me a hand. Little by little each team member was parting ways until it was just me and Quad. We stuck it out for almost two years before we started recruiting heads again. Now, our team is more solid than ever and have been able to move and make things happen. 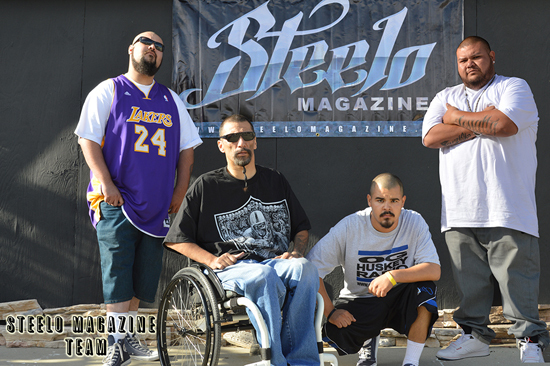 We've covered The Psycho Realm, Flycat, Kemo the Blaxican, Sicko Soldado and many, many more! We are getting more recognition in the underground scene. It's an amazing feeling to be honest! We started off by trying to be a mainstream magazine because that's what most people like and to be honest it didn't really feel comfortable trying to do that. Don't get me wrong, I like mainstream too, but a lot of my favorite artist are "underground", so it's an honor whenever I share the room with any of them. I have to say that this is definitely the best thing to ever happen to me and to us in the team. It's not an easy thing but with a team like ours and the support that we have, helps you go a long way. Shouts outs to BrownPride.com, UnderGroundHipHopBlog.com, Pawz1, Dead Silence Records, Hustle Hard Photography, Syniko Citric, Ace Diamond, all the Steelo Girls, OhWhen, Slum the Resident and everyone who have been apart of us and supporting as we go! Oh and special shout out to the camp Danny G, Ricky G, Andy G, and Jesse Morin aka DJ Quad. Without them this wouldn't be possible!